Excellent mild flavor. Big, tight-budded 9" central heads. Generous crop of large side shoots, about 5" across, prolongs the harvest for weeks. Good for freezing. Proven a winner for productivity, flavor and wide adaptability. Broccoli, Bonanza Hybrid is rated 4.5 out of 5 by 26. Rated 5 out of 5 by Sarahmm from So sweet! 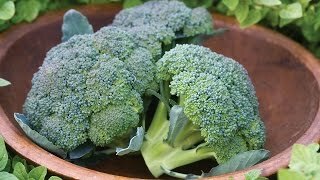 This broccoli is amazing! So sweet and grows very well! It's been 80 degrees most of our spring and it hasn't bolted, I do have an insect/shade cloth over it. Rated 5 out of 5 by Amberleeho from Delicious Broccoli Love this broccoli! It grew very well! The plant isn't as large as others, so it works well for my raised beds. Get a nice size head and side shoots. Kept it covered to keep cabbage moths away! Tastes amazing! Rated 4 out of 5 by TerrorSpedMom from Unbelievably sweet! Well, I planted these for spring/summer growth instead of early spring and then fall growth, so ended up with LOTS of cabbage moths and not a very high yield. Will be smarter this year. The taste of what we did get was fabulous! Rated 5 out of 5 by BloominYard from prolific, cut and come again This is the first year I've tried this particular variety, and I have to say it's likely to be the last variety I ever plant. 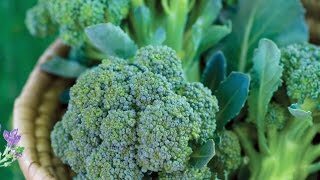 Typically I'll plant broccoli in the spring and again in the fall so that I can harvest enough to put by for winter. This year I admit I was slacking a bit and didn't start a second crop. After I harvested the main heads, I was rewarded with multiple side shoots all summer long. It's mid-September and I'm continuing to harvest them at a steady rate. None of my plants have bolted despite several sweltering days. Rated 2 out of 5 by greengrow from Didn't Grow This Year After being impressed with this variety last year I attempted to grow it again this year. I started with 72 seeds indoors but only 9 came up. When I transplanted them outdoors I planted the remaining 300+ seeds directly in the ground and only 3 came up! 3!! Admittedly the 12 plants were productive with great flavor but talk about terrible germination. Rated 5 out of 5 by Daisy mom from Wonderful broccoli Not huge heads, but prolific side shoots! Will grow again. Rated 2 out of 5 by Keel from Most seed didn't germinate Read a few good reviews so thought I'd try them. I only got about 25% germination. Overall very disappointed!